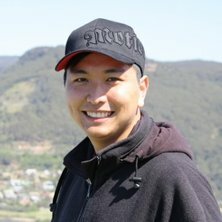 Dr Huang obtained an Honours degree in Science (Advanced Mathematics) from the University of Sydney, and a PhD (Statistics) from the University of Chicago on a McCormick Fellowship. He previously lectured at the University of Wisconsin-Madison and the University of Technology Sydney, before moving to the University of Queensland where he is currently the Statistics Major Convenor. Nonparametric and doubly-nonparametric methods in generalized linear models.